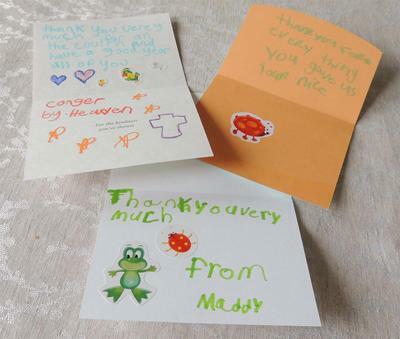 Thank you notes that Children created during Operation School Bell shopping nights. Essential needs are met in our communities and families flourish. Guiding principles and core beliefs our chapter will trust and follow regardless of the situation.